Honey Maple is the basic Four Plus – oats, non-GMO expeller pressed canola oil, honey, and maple syrup. Only four ingredients! 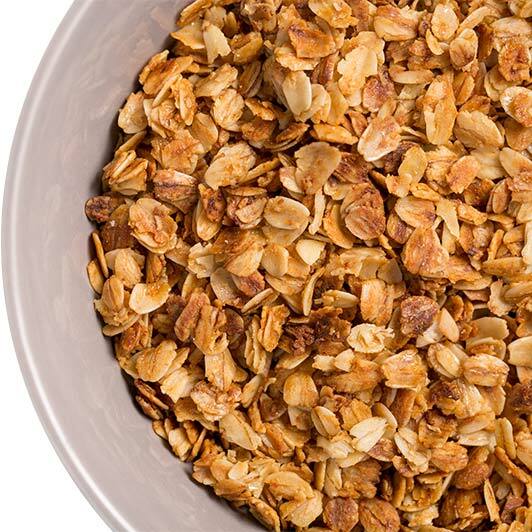 We call it Honey Maple because those sweet flavors really are the distinct character of this granola. Simple, subtle, light.